Technology provider Sustainable Power Systems is incorporating artificial intelligence (AI) into its microgrid controller via BluWave-ai, a company dedicated to bringing AI to distributed, renewable energy. The move comes as AI use grows across a range of industries to provide bespoke solutions based on empirical data and advanced, predictive analytics. In this case, integration of BluWave-ai Edge will result in an advanced microgrid controller that continuously learns and optimizes distributed renewable energy, battery-based energy storage and other microgrid system components. Steve Drouilhet, president and CEO of Sustainable Power Systems, and BluWave-ai CEO Devashish Paul described the AI approach in an interview with Microgrid Knowledge. What is AI and why does it matter in microgrids? Simply put, AI applies computing technology to create intelligent machines. Systems using AI learn from their environment based on various machine learning techniques. Without supervision, they can identify patterns in information and discover solutions to problems, Paul said. 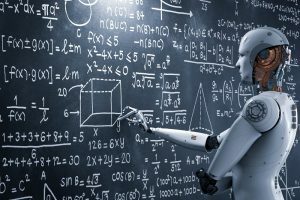 “AI systems are able to continuously adapt and learn to new conditions and can handle very large amounts of data and solve complex problems that would be impractical for humans to solve,” he said. 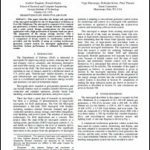 Furthermore, machine learning techniques are continuously making use of system feedback to check the accuracy or success of earlier output, such as the decision to store solar power in batteries, distribute it over a microgrid, or sell it on an electricity exchange. In this way, AI-based microgrid controllers are continuously learning from experience, an advantage they have over counterparts that do not have such capabilities. BluWave-ai’s software draws on historical and real-time data from microgrid sensors, meters and other equipment, as well as from weather stations and weather data feeds, to produce continuously updated forecasts for solar or wind power. Better, more frequent data and more accurate forecasts improve decisions regarding balancing and overall management of other microgrid system components – battery energy storage or CHP systems, for instance. That, in turn, yields multiple benefits, according to the companies. Optimizing microgrid system performance improves the efficiency, reliability and resiliency of energy production, distribution and use, which results in cost savings. It also opens up opportunities for the microgrid owner-operator to earn revenue by selling surplus energy for utility grid distribution. Greenhouse gas emissions and negative environmental impacts are minimized by making optimal use of renewable energy. The components of BluWave-ai Edge reside at aggregation points that link IoT sensors, smart meters and other cyber-physical assets. That may be in nodes at the edges of microgrid or smart grid networks, a private data center or public cloud. Continuously gathering data from across the network, BluWave-ai’s models build up a knowledge base that is applied to optimizing microgrid and smart grid performance as defined by end users and operating conditions at any given time. Initial results based on BluWav-ai’s software applied in off-grid microgrid simulations show reduced fossil fuel consumption ranging from 5-20 percent, according to Paul. BluWave-ai is working with Sustainable Power Systems’ customers and partners to further test and refine its software across a variety of pilot microgrid installations. The results should provide an initial estimate of the extent of improvements AI brings to microgrid controls, Paul said. Based in Boulder, Colo., Sustainable Power Systems specializes in development of advanced microgrid controllers that optimize use of clean energy technology. The company’s controllers are incorporated in microgrid platforms in the continental US, Alaska and China. A current project extends its presence to Africa. A 250-kW microgrid that incorporates solar PV, micro-hydroelectric and diesel generators along with battery energy storage for a hospital complex being built be a private foundation in Burundi, Africa. The microgrid will be equipped to accept a utility grid connection even though utility grid access is not expected to arrive for several years. Commissioning is expected late 2019. A grid-tied, industrial solar-battery-diesel microgrid at the factory of Ontech Energy, an electrical equipment manufacturer in Anhui Province, China. Commissioned in summer 2017, the microgrid uses the UMC. Ontech intends to market and deploy microgrids in China with Sustainable Power Systems’ technology under a license agreement. It is developing its first microgrid project for the national power company of China. The GridNXT Microgrid Test Facility at the Solar Technology Acceleration Center (SolarTAC) in Aurora, Colorado, which is slated for commissioning this spring. 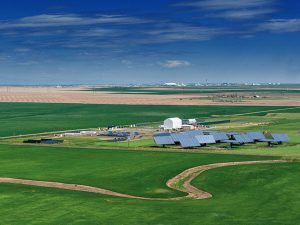 The largest, public-private outdoor solar testing and demonstration facility in the US, GridNXT will offer a variety of solar, wind, diesel as well as AC/DC generation sources, plus a large, utility-scale battery and inverter, programmable load banks, three-phase distribution connections, and system communications. UMC was chosen as the anchor microgrid control platform. A 5-MW, high-penetration, wind-diesel-battery-inverter power system for San Nicolas Island, a US Navy facility off the coast of California, which uses the UMC. Commissioning was completed in July 2016. 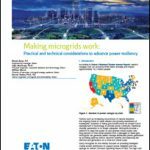 Track news about microgrid controller technology by subscribing to the free Microgrid Knowledge newsletter.